I had the pleasure of meeting the fabulous Mamakasse a couple of years ago when she worked in London. As well as being very chic and fab, she also has one of the best names ever. Here Mamakasse tells Jewel Tones Beauty some of her beauty secrets. What’s your job title and how long have you been with The Body Shop ? I’m a Communications officer and I’ve been working for The Body Shop for 3 years now. I had the opportunity to do an internship at the headquarters in London and I totally felt in love with the brand, the values and the work culture. When I’ve decided to come back to Paris, I joined the French team and I really love my job. Well, there is no typical day when you do Communications. One day, you can be having lunch with a journalist and the other day working on a press release and organising an event at the same time. And that’s why I’m enjoying my job, everyday is different. Like all women, I naturally felt attracted by the world of beauty since I was young. When I had to think about my future professional career, I couldn’t see myself promoting products I don’t enjoy using? Working at The Body Shop is definitely my biggest pride at the moment. I always wanted to give a meaning to my life working in associations, donating, helping others and so on. By working in this company, I have the feeling that my job is not useless and that in some way, I contribute to empower farmers from Community Fair Trade cooperatives, protect the planet and fight animal testing as The Body Shop has supported everyday since 1976. I would first suggest to be curious and learn as much as you can on the industry to become an expert. Secondly, I would advice to build up a network of people. Although I’m a fan of beauty, I’ve only started using cosmetics at the age of 20 and I remember that the first tip that I received was from the talented Lan Nguyen who told me that I should use The Body Shop Skin Primer- Matte it, £12, www.thebodyshop.co.uk to stay shine free all day long. Since then, trust me, I’ve never used any other product to prime my skin, I love the texture and it keeps my makeup flawless. All my make up saviours! The Body Shop Skin Primer that I’ve been using since 5 years, Sleek Creme to Powder Foundation, £7.99, available in 30 shades www.sleekmakeup.com, affordable and perfectly matching my skin tone, I’m loving it! 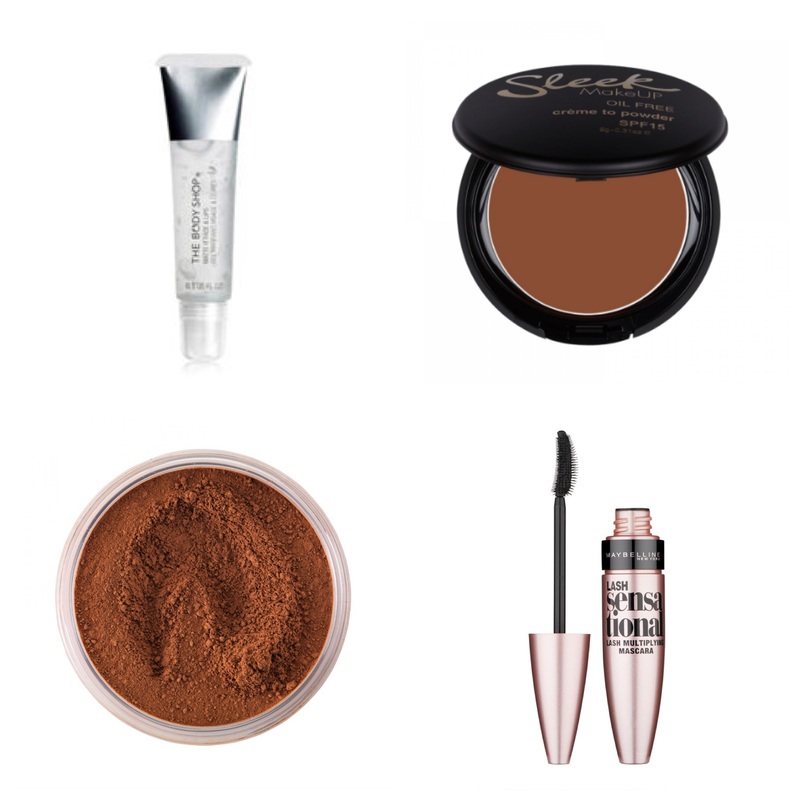 I also use Sleek’s Professional Finishing Powder, £7.49 and a Maybelline New York Lash Sensational Mascara, £7.99, www.maybelline.co.uk. 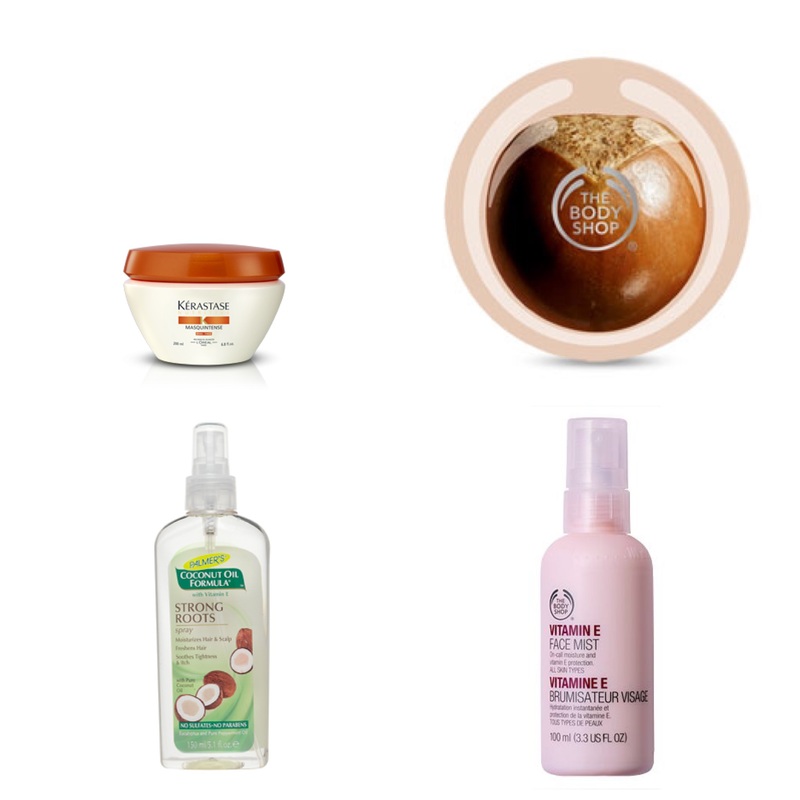 What Body Products do you love and why? I have a very dry skin so I use the super moisturising The Body Shop Shea Body Butter, £14. It keeps my skin moisturised all day and it’s smells fantastic. I’m a huge fan of Kerastase, I think they do amazing products for textured hair. I’ve been loving their masks especially Masquintense, £28.50, www.kerastase.co.uk. The product that I always have on my work desk is The Body Shop Vitamin E Face Mist, £9.50 that I spray whenever I feel the need to refresh and moisture my skin without messing up my make up. When I feel lazy or I know that I will have a busy week, I do protective hairstyles. Right now, I’m wearing short weaves with a fringe which, I’ve been told by my hairstylist, suits my face better. To keep my braided hair fresh and moisturised I daily use Palmer’s Coconut Oil Formula Strong Roots Spray, £3.79, www.feelunique.com. 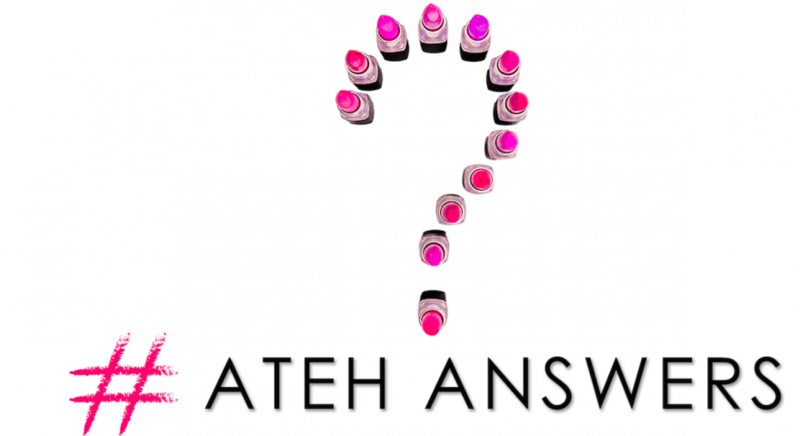 Who’s on your beauty speed dial for salons, treatments and hair appointments? This may sound pompous but I don’t let everybody touch my hair. I have one and only hairstylist based in my hometown, she knows me well and do wonders to my hair. Whenever you come to Paris, please let me know and I’ll give you her number! There’s this fashion designer named Dina Tokio, https://www.youtube.com/user/dinatokio that I love. I’m also a muslim and although I don’t wear the hijab as she does, I love the way she plays with colours and lengths. My favourite outfit for work is are cool boyfriend jeans that I pair up with a casual black jacket and a personalised long t-shirt. 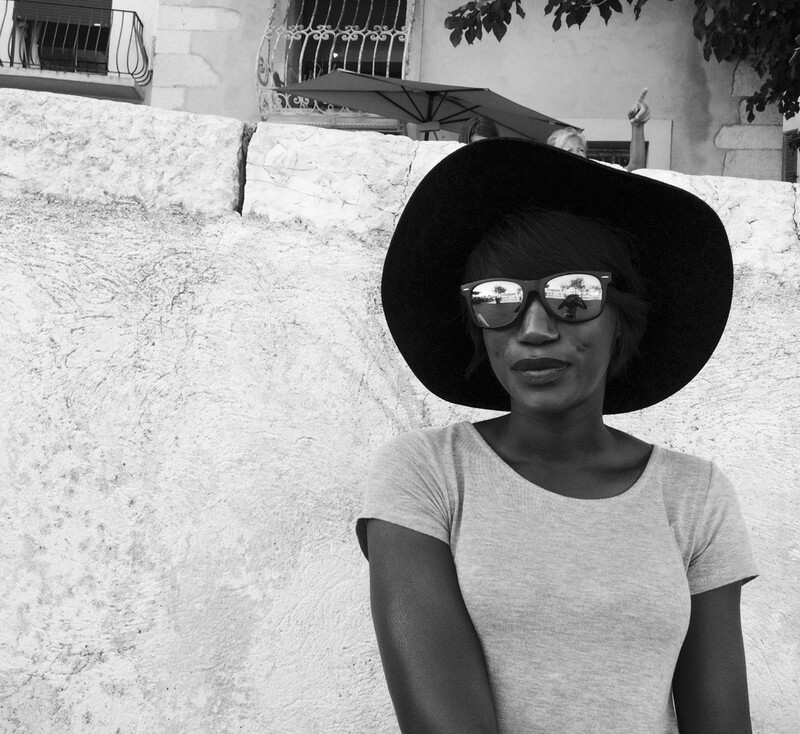 What was it like growing up in France as a black teenager? I’ve never had any issue being a black teenager because my mum used to do my hair when I was a kid and she always made sure that my sister and I look perfect for school. 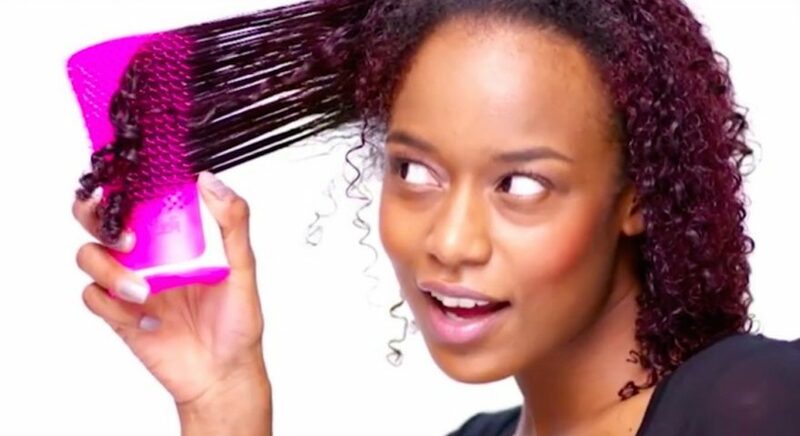 Like in London, you can easily find stores to buy afro affordable beauty products. I never had any beauty icon. I’m not into stereotypes at all. I love thinking that beauty is plural and mostly comes from within and that as long as you feel good with yourself, you’re beautiful.